We all have that one teacher (or maybe a few) who stood out to us and made a difference in our lives. It could have been that kindergarten teacher who taught you how to read, or the high school trigonometry teacher who finally helped you understand math. It could even be your college philosophy professor who helped you appreciate the works of Aristotle and Socrates, or your art teacher who encouraged your creativity. Whoever they were, they are what makes education so important to us. 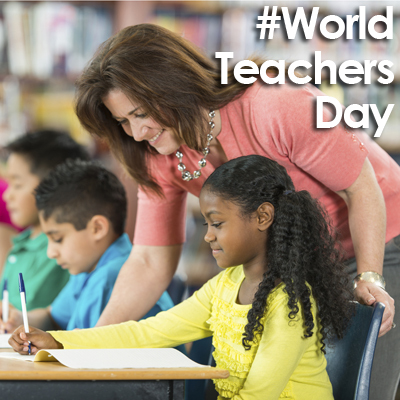 Today is World Teachers Day, a day for us to honor and appreciate those who helped make a difference in our lives. Thank you to all teachers—your hard work and dedication has not gone unnoticed!